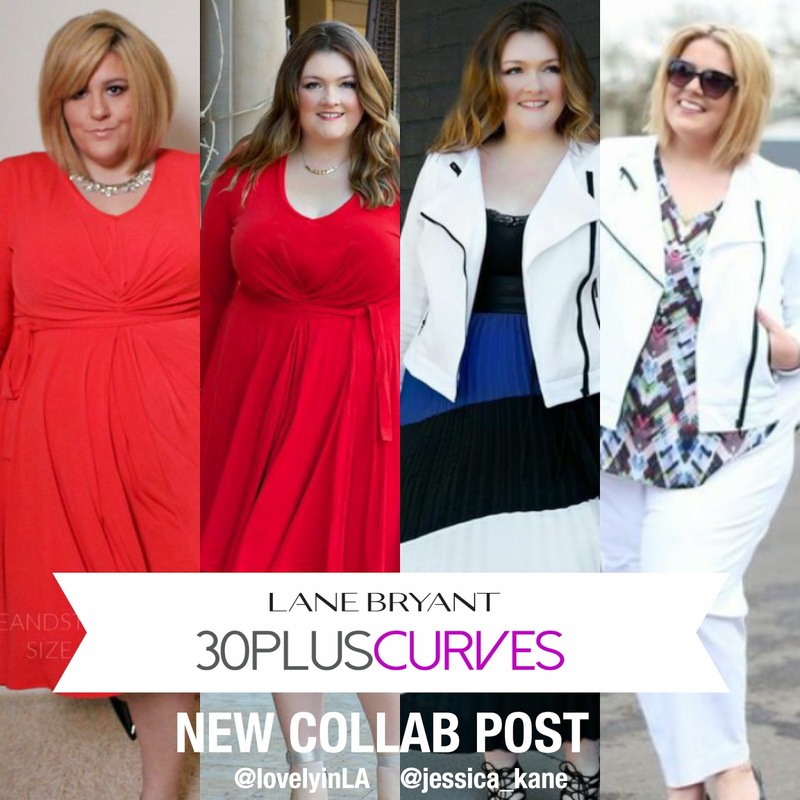 We’ve put together another collab for the 30PlusCurves movement and this time we are sponsored by Lane Bryant! 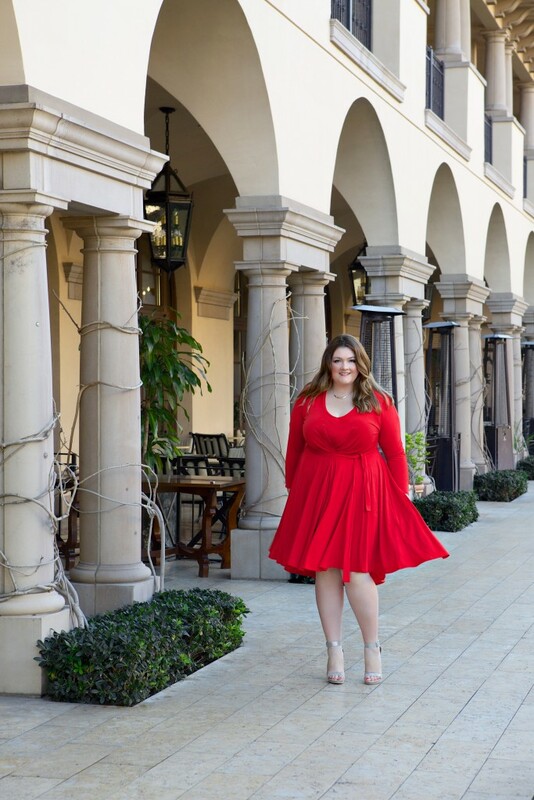 Jessica (size 26) and I ( size 18/20) both chose the Easy V Dress in venetian red (it’s even on sale right now!) from the Isabel Toledo Collection to show you how it looks on different body types. Let’s just say I fell in love with everything about this dress; the fit, the buttery fabric – it just made me want to twirl around everywhere. I felt like such a goddess while wearing it and the tie around the waist added a nice touch. (I will be adding more photos to the post in the coming days!) It was the perfect dress for a brunch event I attended and might I mention the perfect dress for Valentine’s Day. Next up was the white ponte moto jacket with black zippers. It’s super versatile, the fit is on point, and the fabric felt so good I didn’t want to take it off. What’s not to love about a chic jacket with black zipper detailing to give it just the right amount of edge! I styled this with one of my new favorite skirts, the colorblock maxi dress , the essential lace trim cami in black and reversible snake black obi belt. 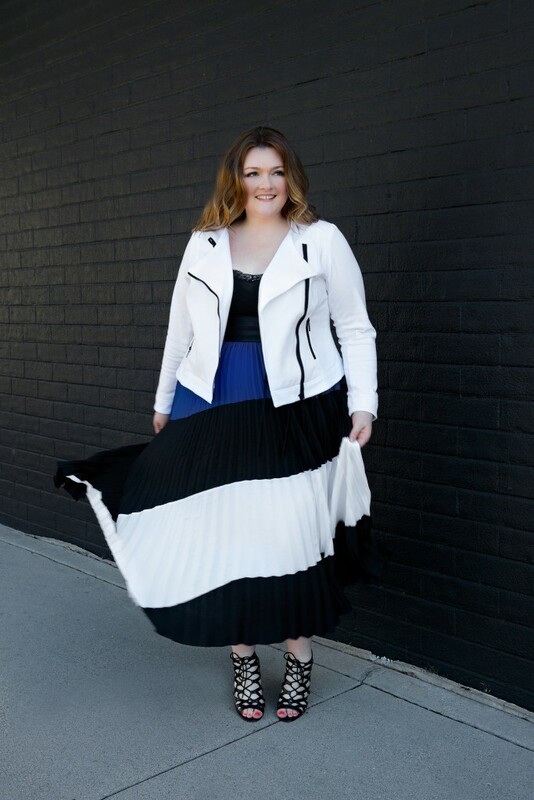 Go stop by Life and Style of Jessica to see how she styled the red dress and white moto jacket!